All American Cruiselines tours, river cruises, expedition cruises, and adventure trips. Find the best guided trips and expert planned vacation and holiday packages. 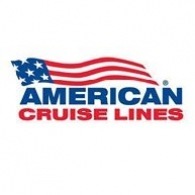 Average rating of 4.2 for all American Cruiselines trips. Enjoy St. Louis’ many world-class attractions, including the Art Museum, Science Center, Anheuser-Busch Brewery, and the Missouri History Museum. See the historic stables built in 1885 and the world-famous Clydesdale horses. Visit the national Mississippi River Museum and Aquarium. Enjoy a show at the historic Sheldon Performing Arts Theatre or observe the beauty of nature at one of Red Wing’s 38 parks. Enjoy beautiful gardens, an outdoor performance center, and inspiring sculptures. Visit America’s third-largest inland port, famous for blues, barbeque, and Elvis Presley's Graceland. Enjoy the Art Museum, Science Center, Anheuser-Busch Brewery, and the Missouri History Museum. Enjoy shore excursions to Cape River Heritage Museum and the Red House Interpretive Center. Visit the studios and galleries of Paducah’s resident artists. Enjoy the gentle sounds of the paddlewheel as it churns through the placid waters of the Ohio River. Visit the Kentucky Derby Museum to see actual Derby footage dating as far back as 1918. Visit the William Howard Taft National Historic Museum, the National Underground Railroad Freedom Center and Betts House. Enjoy a grand tour of one of the most historic and unforgettable cities in the South. Enjoy a warm welcome at the visitor’s center by tour guides who are eager to share their knowledge. Visiting one the many fine museums, to participating in a hands-on creative workshop at a local art gallery. See the Sailor Man's likeness in the town's own six-foot-tall bronze metal statue. Visit the Museum of Westward Expansion and discover the lives of the explorers, cowboys and Native Americans who helped forge our nation. Visit the picturesque Sydney and Walda Besthoff Sculpture Garden, one of the premier sculpture installations in the United States. Enjoy a grand tour of one of the most historic cities in the South. Enjoy a relaxing trip through the historic sites of the largest city in Mississippi including Cotton Row, the Mount Holly Plantation and the Weatherbee House. Enjoy the local flavors, like chicory coffee, sweet beignets, and famous New Orleans jazz music. Visits to its gardens, historic homes, and museums. Explore his eclectic collection of period-specific artwork and one-of-a-kind antiques. Enjoy the warmth of the Mississippi River sun as we cruise from Vicksburg to Memphis. Explore fascinating exhibits such as Elvis’ museum, estate grounds, the jungle and trophy rooms, his gravesite, and much more. Visit their popular gift shop which is known for their world-famous pralines. Enjoying the shade of the leafy canopy greet us on arrival and are our guides for the day. See why this show is called "Becoming Jelly Roll." Take a tour of beautiful Palatka. A guided tour through the city of Juneau and Mendenhall Glacier. Explore the "Gateway to the Yukon" by train and by bus. Experience Skagway with Alaska's original historical city tour for an informative and fun-filled 90 minutes to all points of interest. Join a guided tour through the "Valley of the Eagles" to experience Alaska's magnificent nature and wildlife in six different habitats. Explore picturesque Chilkoot Lake during a guided sea kayaking tour. Experience the beauty of Glacier Bay during a narrated tour. Discover the rich heritage of this small, fishing town during a walking tour of Petersburg. A tour through Tracy Arm fjord. Stroll through the quaint town of New Madrid, filled with Old South traditions and historical attractions. Discover Paducah’s colorful history during a guided tour through the town’s historic district. Participate in hands-on creative workshops and hear artists’ stories of how they relocated to Paducah. Hear stories of the people and events that helped shape life along the Ohio River during a guided tour of the River Heritage Museum. Join a local guide on a narrated tour through Cape Girardeau’s beautiful Old St. Vincent’s Church. Take a tram ride to the top of this 630 foot arch! Take a historic tour of New York's capital. Learn about the history of this charming town. Visit the Franklin D. Roosevelt National Historic Site. Enjoy a narrated tour of the BIG APPLE.